For some of you reading this, you may simply never have known a world before the internet existed by virtue of your age. It's not your fault, but as generational divisions go, this was a biggie. The internet saturates so much of our lives now that it's even difficult for those of us born prior to the '90s to remember how we functioned without smartphones, Google searches, and terabytes of cheap entertainment on demand. I think there were video game arcades in the mall or something. Because of this, some of you will not understand the import of how it felt when technology advanced to the point that people could reach out online and interact with others, first through written communication and later through applications and games. What we take for granted in today's MMOs -- the constant presence of thousands of real humans interacting with us in a virtual space -- simply blew the minds of those who first encountered it. And way back when, those encounters depended on the person and technology available. Some folks had access in the '60s and '70s to the early form of the internet and email in universities and government offices, but these close encounters of the virtual kind only started to make its way into households in the '80s (and even then, mostly to those plugged into the geek community). The developers of these programs -- the MUDs, the BBSes, CompuServe, etc. -- were truly pioneers forging a path while trying to figure things out on the fly. So it amazed me to hear that I've been missing out on a key part of MMO history by overlooking Lucasfilm's Habitat, which wasn't quite an MMO by modern standards and yet created a graphical virtual world with many of the elements that were adopted into later projects. In our two-week look at Habitat, we'll see just how eerily similar this 1986 title is to what we know today -- even though it came out on the Commodore 64. If the '80s sound like a long time ago to you, try 1974. This was the year that a young student named Randy Farmer began his fascination with the online world by latching onto a 110-baud teletype at his school. His fascination with the possibilities of multi-user technology grew, and he began poking around with games and applications to take advantage of this. A little later on in the '70s, University of Michigan student Chip Morningstar also grew intrigued by the potential for online interaction, so much so that he switched his major to computer engineering and pursued it as a career. Morningstar and Farmer's paths led them both to Lucasfilm Games -- a predecessor to LucasArts -- where Morningstar hired Farmer onto his team in 1985 to help him design an idea he had called Habitat. It was about as ambitous and wide-open of an idea as anyone had up to that point, a graphical MUD of sorts that would provide a world full of tools and toys for many players to use and with which to simultaneously interact. "Habitat, however, was deliberately open ended and pluralistic. The idea behind our world was precisely that it did not come with a fixed set of objectives for its inhabitants, but rather provided a broad palette of possible activities from which the players could choose, driven by their own internal inclinations," said the creators in a famous 1990 paper titled The Lessons of Lucasfilms' Habitat. Or as Morningstar later put it, "One of the premises of Habitat was: don't bother writing AIs, just let real people interact." Like many pioneers in virtual worlds and games, Morningstar and Farmer were working under extreme limitations of technology and a dearth of comparative experiences. Never before had a graphical online world been able to connect more than 16 people at one time, and the duo had plans to make this truly massive multiplayer, with support for up to 20,000 characters. Because nothing on this scale or quite like it had ever been done before, it was difficult for the two to promote the idea even within their own company. Lucasfilm, however, continued to fund the project as an application for QuantumLink, an online service provider. Because QuantumLink catered exclusively to Commodore 64 owners at the time, Habitat had to be made for the platform. This meant that the game had to be run over a 300-baud modem; to compare that to barely understandable terms of speed, modems would eventually speed up 56,000 bits per second before most of civilization switched over to faster forms of internet connection. Instead of being a D&D or DIKU-clone, Habitat was designed from the ground up to give users a wide variety of potential activities and outlets for creative expression. 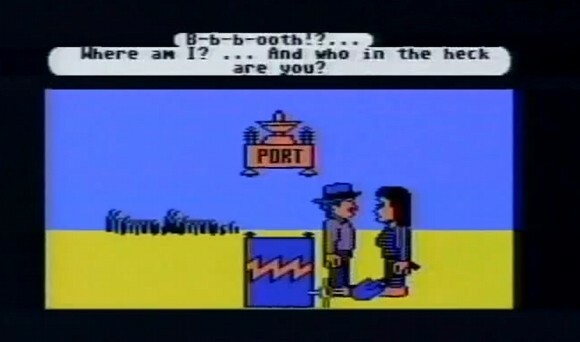 It was more than a chat room and less than an RPG, although it certainly incorporated elements of them both. Habitat was constructed of thousands of "regions," each a separate screen with its own scenery, theme, and interactive elements. Due to time constraints, the designers created and utilized automatic worldbuilding tools to help whip up the world regions. Each of these regions contained some of the 200 objects that powered the game world, from avatars to newspapers to crystal balls. It was as wide-open and freeform as could be, although the developers held the population in check with common sense rules and restrictions. The feel of Habitat was a blend of the designers' favorite influences: Vernor Vinge, William Gibson, RPGs, and childhood games. Terminology and features that would later become commonplace in MMOs saw some of their earliest appearances in Habitat. Players piloted "avatars" with in-game handles, and each of these avatars could be customized according to look and gender. To send a distant player a message, you would use a burst of "ESP" -- or what we call "tells" today. Players had in-game money, weapons, inventory, and even player housing (take that, every MMO that poo-poos housing as being "too hard"!). Most importantly, Habitat's world was persistent, which meant that changes players made to it would stick instead of being reset the next time they loaded it. Persistence in a multiplayer environment was the sort of thing that blew minds back then, and players were in awe of it. Where $15 got you three hours of playtime. And change. By June of 1986, Lucasfilm was ready for a test-pilot of the Habitat program and launched it as a pay-per-hour beta. That's right, you'd have to pay $0.08 a minute -- yes, a minute -- to play a beta, but back then there was no shortage of volunteers to do just that. A few even got into trouble with excessive fees, racking up hundreds of dollars a month without realizing it. Not only was the pilot run popular with testers, but it proved that this sort of program could work on a wide scale. The beta ended in May 1988, and QuantumLink launched an improved version of it as part of a metaworld called Club Caribe, where the game racked up 15,000 users. 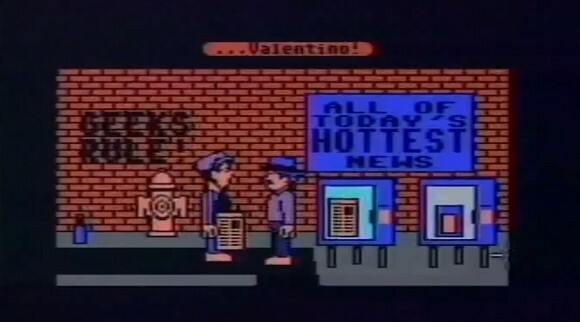 US players were quickly out of luck, as a local version of the game was axed. Japan, however, welcomed Fujitsu Habitat with open arms, and it did nicely there. Habitat continued to evolve over the course of the next two decades. Fujitsu purchased the rights to the game and relaunched it via CompuServe in 1995 as WorldsAway. The technology and rights continued to trade hands as Habitat's original code slowly evolved over time. Today, Habitat's ghost lives on in VZones, although with a price tag of $11/month for a 2001 era-looking game, it's hard to recommend.